Equities start the day higher on another glorious summer week! I love June, the weather isn’t too hot, the drinks can’t be too cold, and kids are finally starting their summer breaks. Allow me to relay a quick story from the weekend hence. My daughter is a precocious 10 years old and as a budding young tween she does her best to drive me absolutely insane. Her bedroom always looks like the clothes return counter at any major department store: socks here, shirts there, shorts hanging off a dresser. I stood at the top of the stairs and yelled at her to “come up and clean or else you get no iPad for a week” (this is like the nuclear option for a tween). Of course she ignored me because why wouldn’t she but as I stood there contemplating how to throw all her stuff out the window I realized I found my market metaphor. Last week the media screamed and yelled about Italian Elections, Trade Wars, and Tariffs yet the market ignored it. I actually submit to you that the selloff surrounding Italian debt / politics was the dumbest thing since the Ebola mania of 2014. Italian politics has been messy since the Renaissance so if that was your big catalyst you need to read more books. Look, I’ve been on record saying that all this sideways grinding would resolve itself higher and I still maintain that view. We had a solid jobs report last week and all the other economic indicators like ISM Manuf, Chicago PMI, Housing Starts, etc all point to the same story we’ve been reading for years: slow steady growth where the stock market works. Remember, investing isn’t about you vs the stock market it’s about you vs YOURSELF. Don’t let random noise knock you off your path and if your daughter doesn’t clean up her room in a timely manner just change the wifi password. Boom!! After the open we saw plenty of new all-time highs from such fan favorites as AAPL, AMZN, NFLX, MSFT, V, and MA. Large cap tech continues to lead the way and anyone doubting that has had their PnL summarily executed. How about V and MA though, those two stocks blow my mind. They, along with companies like AMZN, are in my “you use this every single day, why don’t you own it” portfolio (better known as my “K.I.S.S fund”. I mean look at these charts, secular growth at its finest! “Hey hon, we buy everything from museli to pencils on AMZN all while using our MasterCard debit card, maybe we should buy the stock?” “Nah, let’s just speculate on some biotech trying to cure gout in pigs, that’s our ticket to riches!”. Sigh. There wasn’t much news, other than Trump saying he can pardon himself, so the tape coasted on momentum gained last week. Winners were SO MANY RETAIL STOCKS. Let’s hear it for Komp and Altschwager!!! UAA, TGT, ULTA, KSS, M, LB, hit up my guys to talk about it. Losers were NKTR, BHGE, NFX, WYNN, and a whole slew of energy names as Crude fell back under $65. Two biggest pain trades of the past month: Short UST and Long Oil (TBT And USO as a proxy for those). Sucked everyone in at the top and SMACKED them in the face. 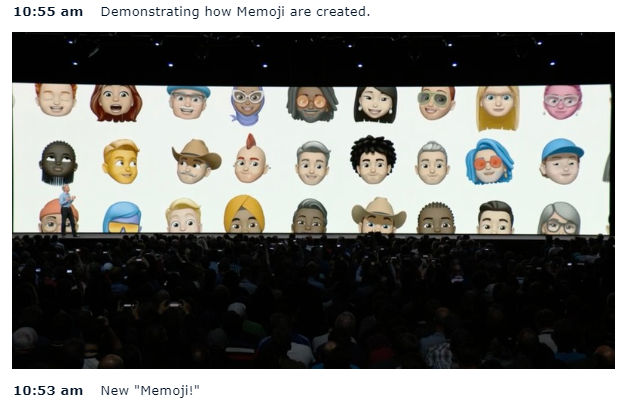 By lunch I was bummed about the future of tech as one of $AAPL’s big announcements at their WWDC conference was “MeMojis” Yep, smartest people in the world working in one of the most vibrant communities on the planet in a company worth nearly $1T and Me-freaking-mojis pop out. Great, now all the people I wanna block will send me talking pictures of their face (they did announce group Facetime video calls so that might be cool). Today’s must read by Morgan H: "In what other field does someone with no education, no relevant experience, no resources, and no connections vastly outperform someone with the best education?" Care to guess what he’s talking about? That’s right: Investing. Boston Store is going out of business, they are doing liquidation sales all throughout their stores. I was in one on Sunday depressed about the future of retail. Then I read this quote by the CEO and said to myself “yea, you guys kinda deserved your fate” Mr. Grumbacher says he has come to terms with the company’s fate. “Maybe I didn’t pay enough attention to the changes that should have been made,” he says. Speaking of retail, I’m going to start calling retail investors “smart money” TD Ameritrade clients increased their exposure to equity markets during the May IMX period. Clients were once again net buyers of equities, causing the increase in the overall IMX score. Volatility of the S&P 500 was relatively modest during the period, with the index only having one day with a change in excess of +/-1% during the period. The author of this article wonders if companies are selling down their inventories because they are afraid of raising prices. This is likely to be the moment of truth for corporate America: Will they finally be able to pass those higher prices on in a meaningful way to consumers, providing an inflationary jolt to the economy? If not, profits and overall economic growth will suffer when this bottleneck ends. 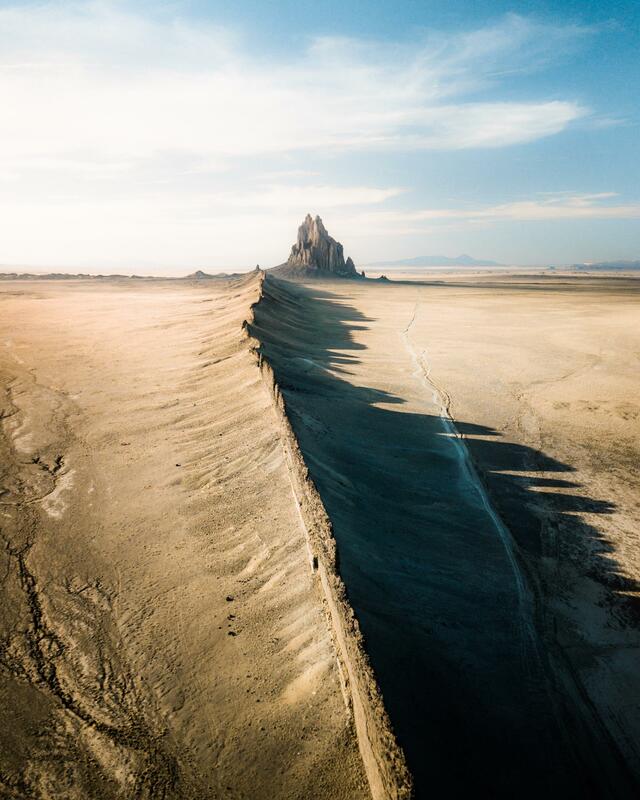 How cool is Ship Rock at sunset? Tonight we’ll end with a child’s slide in Japan. I’d love to see this thing during recess! !